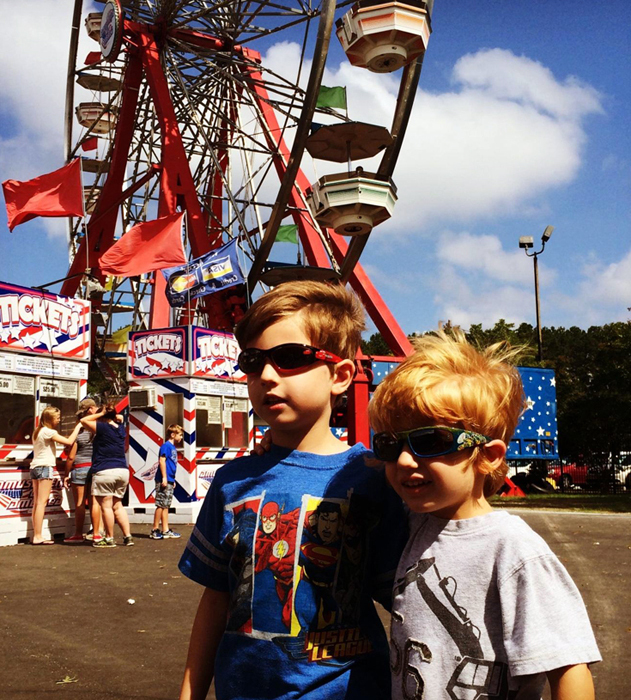 Jake and Matt rode their first Ferris wheel on Saturday. They were excited as they waited to get on. Well, they may have been a little hesitant, but mom and dad were going to ride with them, so there was nothing to worry about – at least not for the boys. A Ferris wheel is pretty harmless. Oh, there’s the tummy-roll when you come over and down, and the hold-your-breath-moment when it stops at the top, but for the most part, it is just a great way to spend a few minutes and get a wider perspective of things from a higher view. With tickets in hand, they all got on board. 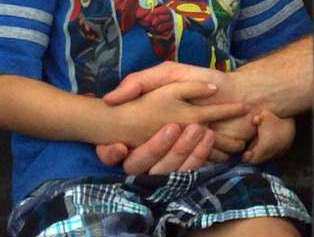 It’s easy to brave when Dad has his arm around you and Mom is close to your side. When the Ferris wheel lurched a bit, dad’s hand provided all the security that was needed. If only every “ride” in life were as sedate and fun as a Ferris wheel: You go up, you come down, and throughout the ride there’s time to look around and see lots of things. Unfortunately, that isn’t always the case. Sometimes, life is more like a giant roller coaster hurtling down inclines and around corners so fast you feel like you’re going to fall out. It is hard to breathe and holding onto the hand of God is almost impossible because it means letting go of the safety bar in front of you. Then, when you feel the ride slow down enough to relax just a bit, it starts inching slowly back up another incline and you dread what’s on the other side. There is no time to look around and get a broader perspective at the top because the drop-off ahead is terrifying. The truth, however, is that if you are a Christian God is riding with you. He is there when you’re sitting in the doctor’s office. He is there when you’re called in to see the boss. He is there when your child is sick. He is there when you move far away from home. He is there when you’re taking the test. He is there when it seems like the world is descending into utter chaos. He is there. He is close. His arm is around you. There is nothing to fear. It’s hard not to be afraid when life lurches and the things around are not as secure as we thought they were. Fear is all we know if God is not riding with us. Peace is ours when we rest in God. When your life is more like a roller coaster than a Ferris wheel, who do you trust? Whose hand do you reach for? What must you let go of to grab hold of God?